The “Blog” of “Unnecessary” Quotation Marks: under whom? 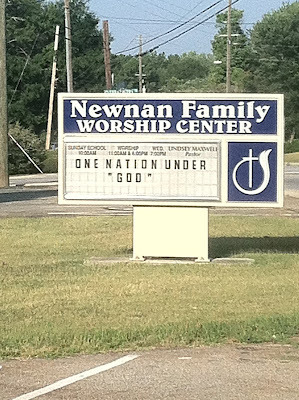 I wonder who this church believes our nation is actually under? Thanks Ian.